There is a big difference between management and leadership. Management is usually viewed as getting things done through other people in order to achieve organisational objectives. Management has a low level of emotional involvement. It is planning, organising, directing, co-ordinating and controlling, it aims at results. Managing is marked by predictability, encouraging orders and solving problems. Whereas leadership is more personal, it focuses on communicating, motivating, generating ideas, enthusing and inspiring people to help get better performance. It is characterised by empathy, it establishes a direction. Leadership it is a relation through which one person influences the behaviour or actions of other people. In 1964 Robert Blake and Jane Mouton published Managerial Grid which provides a basis for comparison of managerial styles in terms of two principal dimensions: concern for production and concern for people. Concern for production shows an amount of emphasis that the manager places on accomplishing the tasks in hand, achieving a high level of production and getting results on profits. Concern for people is the amount of emphasis that the manager gives to subordinates and colleagues as individuals and to their needs and expectations. They tend to be remote from their subordinates and believe in the minimum movement from their present position. They do just enough with the production or with people. They are often scared of commitments and they retreat from the realities of work and people. They are autocratic and tend to relay on centralised system and the use of authority. They want to get job done well at all costs and they judge on results. Authoritative managers direct and control people who ‘do what they are told’. They rarely criticise employees and avoid conflicts because their belief is that the harmony is more important than quality of work. They believe contented staff will undertake what is required of them and achieve a reasonable level of output. Their approach is ‘live and let live’, they have got tendency to avoid real issues. They resort to book rule and last precedents. They aim for compromise but not too much loss in quality of staff work. Blake and Mouton consider this style an ideal example of how managers should strive to achieve goals. The Team Managers create an involving situation where people are motivated for themselves and the organisation, via teamwork, valuing others and positive responses. There was a time during holidays 2009 when I work at Ecolaguna Camp in Poland. That was seasonal windsurfing camp not only for professionals but also for beginners. The was also a pub on the camp premises and I worked there as a waitress. I have fond memories of that working period. I believe my manager had the Team Manager style. I was one of those who took great pleasure in working with him. His principal aim was welfare both people and the business. He cared for the staff because work accomplishment is from committed people. When someone had some problem either financial or mental. He was the one you could ask for help and he had never refused. He discussed problems with the staff when some ambiguities have appeared. If there was some difficulties in working relationship, he handled it by confronting employees directly and attempted to work out solutions with them. He sought people ideas, gave them freedom of action and let them developed it. He was very happy and open to hear any new ideas to improve the firm. I consider Princess Diana to be an example of a strong leader. She was renowned for her elegance and prestigious title “Her Royal Highness”, displayed many leadership qualities and characteristics as she reigned over Wales. I believe Princess Diana was a good leader because she possessed these five important qualities: patience, open-mindedness, trustworthiness, confidence while giving speeches, and intelligence. In order for a leader to be effective, one must have patience, which requires self-control and perseverance. I believe that her association in helping with charities and childcare centres accounted for her patience because she must had remained humble and self-controlled when dealing with children and homeless people. Diana developed an intense interest in serious illnesses and health-related matters outside the purview of traditional royal involvement, including AIDS and leprosy. In addition, the Princess was the patroness of charities and organisations working with the homeless, youth, drug addicts and the elderly. 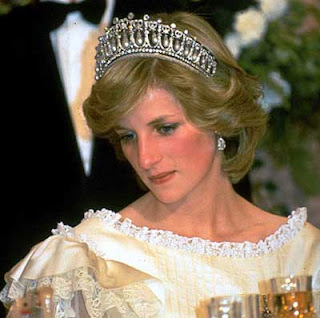 Despite her unique fame, her wealth and her privilege, Princess Diana was also widely proclaimed as a successful leader. Diana’s assertive and effective way of speaking, defines her true-self and leadership personality. What can be demonstrated on an example of Muslim women who started use the style of Diana’s dressing. Mother breast-feeding in a royal families after childbirth also happened to be a common custom which before was strictly forbidden. That means she had really big impact on people behavior all over the world, even those deeply rooted in religion. She was no doubt trustworthy when it came to charitable duties, and her efforts to help needy people. A leader must also be open-minded in order to contribute ideas and to have an effect on something or someone. Possessing the integral traits of a leader, she had been appraised for her good works and diligence throughout her country. Of the last leadership qualities, intelligence is a highly prestigious trait. She was proclaimed as "a queen of people’s hearts," and most rightfully so. Frequently bombarded with reporters and paparazzi, Princess always responded with quick and legitimate answers that were rightfully justifiable. In my opinion to become a good manager we have to been taught by a good leader as well as if someone would like to be a good leader he should learned from good manager. Moreover I also believe that not everyone can be a good leader. It’s required a lot of traits like self-assurance, decisiveness, initiative which not everybody is able to cope with. But I think that it is possible to become the Team Manager just suitable training is necessary. Detailed blog, welldone. Good example of a leader, with comprehensive reasoning, check references.